The role of voluntary associations in promoting political capacities and involvement has received a great deal of attention over the last 15-20 years. Extra-parliamentary organizations are assumed to produce a number of positive effects not only for individual members, but also for neighborhoods and local communities at large. They are thought to perform a social role, as the fabric that contributes to uniting society. In turn, associations are supposed to play a political role in fostering citizens’ capacities for taking part in collective action. What caught our attention, however, was the idea that that a vibrant associational life would contribute to stronger confidence in political institutions, i.e. we wanted to pursue the alleged relationship between associational life as a contextual-level property and individuals’ attitudes towards elected office-holders. This assumption is particularly pertinent in Robert Putnam’s study of social capital in Italian regions. In this study, he explicitly states that he will treat associational life as a contextual variable. Based on Norwegian data, we set out to investigate whether the purported benign effects of voluntary associations reach beyond those who are themselves members or active. The findings are rather surprising in the light of Putnam’s optimistic view of the effects of associations. We observe that living in a municipality with a vibrant civil society does not seem to result in positive assessments of locally elected officials. On the contrary, where there is a high density of local voluntary associations, people tend to be less approving of their local councillors. The results are clearly significant and consistent for all of the three measures employed. Thus, public assessments of government responsiveness and effectiveness are clearly negatively affected by the number of associations in a community. Individuals may create networks of social capital and confidence among themselves, but such involvement does not predict greater confidence in local political institutions. Thus, our study calls into question the positive linkage between social capital and political capital (i.e. confidence in political institutions). Our interpretation is a lively associational universe may serve as a vehicle for criticising and controlling the ones who hold office. According to this idea, a vibrant civil society does not necessarily produce support for elected politicians. Instead, a differentiated associational infrastructure puts pressure on the political system and provides a channel through which local decision makers is held to account. Hence, the relationship between political institutions and civil society is not necessarily harmonious, but the role of voluntary associations is nevertheless of great importance in local politics. 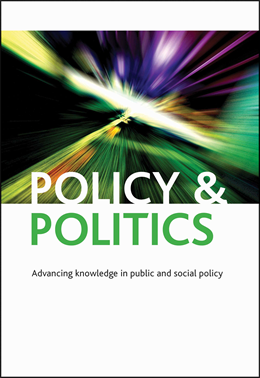 Our study suggest that future research should, in order to further clarify and refine the relationship between social- and political capital, continue to focus on the contextual-level. After all, this is the level in which people organize and relate to one another in a variety of ways and for a wide range of purposes. 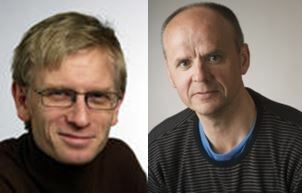 Jacob Aars and Dag Arne Christensen are both based at the Uni Rokkan Centre in Norway. You can read their full Policy and Politics paper here.